We rush through life. The people around us become little more than obstacles – a crowd of blank faces we have to pass through. But what if we stopped and looked a little closer? What if we discovered that the experiences and emotions we all share weave us together in ways we had not considered? What if we realized that we are not merely passing through the crowd… We are dancing in it. 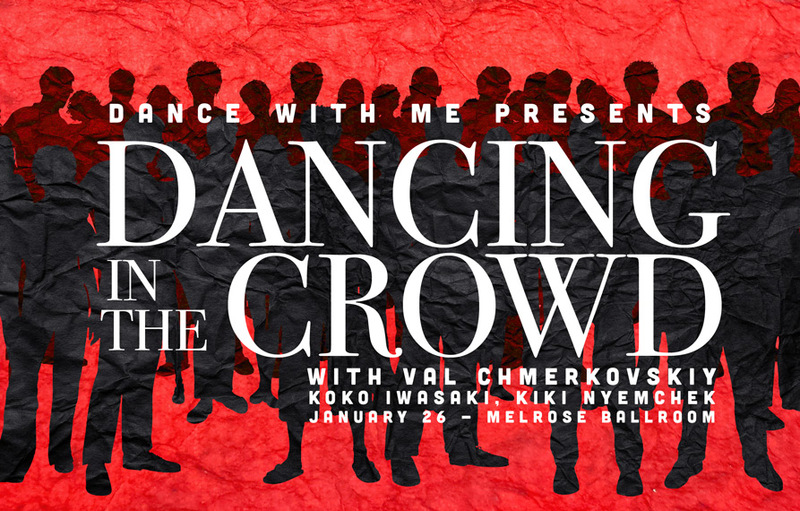 By popular demand, DANCING IN THE CROWD returns to Melrose Ballroom on January 26, 2019 with special guest appearance by two-time Dancing With the Stars & World Latin Champion, Valentin Chmerkovskiy! Dance With Me, producers of the stage hit SWAY: A Dance Trilogy, bring back the well-received show with new choreography, new cast members, and visual effects guaranteed to mesmerize! Featuring choreography from So You Think You Can Dance finalists Koine “Koko” Iwasaki and Christopher “Kiki” Nyemchek, Olympic Choreographer, Serge Onik, jazz dance superstar Emily Crouch, and SWAY’s own David Thomas Moore, Dancing in the Crowd is part theatre, part avant-garde dance project, and part interactive audience experience guaranteed to make you think, make you smile, and yes, make you want to dance! Our VIP Sponsor seats include an all-night experience. Enjoy the best seats in the house and then celebrate with cast at the official after party…unlimited drinks and hors d’oeuvres all night long! Get ready for live brand new live dance experience! Need for information? Have questions about the seating chart? Contact us at productions@dancewithmeusa.com.